Cartilage injuries in the knee are common. The treatment of cartilage injuries in the knee is constantly evolving. If you have a cartilage defect then you might be at risk for developing osteoarthritis. 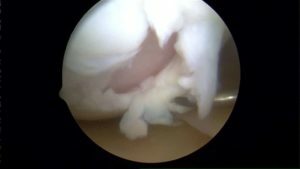 In order to minimize the risk of knee arthritis we may need to try and repair many cartilage holes, defects or injuries. Some cartilage defects may be amenable to a treatment called a microfracture. Some cartilage defects may or may not respond to a microfracture surgery. Furthermore, some cartilage issues may not require surgery at this time. How do we decide which cartilage injuries may require treatment and how do we decide which treatment option to offer you? Microfracture surgery is one of the surgical procedures available to try and heal knee cartilage injuries. A microfracture is an arthroscopic (small incision) knee surgery technique which involves making multiple small holes in the bone. Those holes allow bone marrow stem cells to enter and cover the cartilage defect(see pictures below). 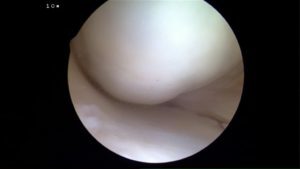 Many months after the surgery a new reparative cartilage should start to form. For small cartilage defects a microfracture is a reasonable repair option. Ultimately, the type of treatment we recommend for your cartilage injury will depend on many factors including the size of the damaged area, and the quality of the remaining cartilage around it. The knee is a complex structure. The knee is composed of 3 bones, 4 major ligaments, tendons, cartilage and the two cushions we call the menisci. In patients who suffered an injury to the cartilage on the end of the bone, a hole or defect in that cartilage might develop. In the image below you can see how nice and smooth the cartilage surface typically is. Following an injury to the cartilage, a cartilage defect or hole might develop. Those cartilage defects may form immediately after the injury, or they may evolve over time. If there is a large hole in the cartilage or cushioning of the knee there is a risk of developing knee osteoarthritis. If osteoarthritis becomes severe it could eventually lead to a knee replacement. Therefore it may worth fixing cartilage injuries to try and minimize the risk of developing osteoarthritis. Cartilage holes or defects in the knee can be due to recent or acute trauma (car accident or fall), or it could be due to early degenerative osteoarthritis. We try to differentiate these “acute” cartilage injuries from “degenerative” cartilage injuries. Acute injuries might be managed differently than a chronic degenerative cartilage defect. Athletes can develop cartilage defects at the same time as an ACL tear. Runners, or contact athletes can develop cartilage injuries from repetitive stress. Oftentimes you will not know what led to your cartilage loss or defect. Your knee hurt, a knee MRI was obtained and they found an area of cartilage loss or chondromalacia. 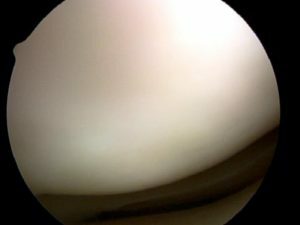 Notice the smooth white substance — this is normal appearing cartilage. Normal cartilage is a firm, rubbery substance that coats the end of our thigh bone, and the top of the shin bone — creating a thick ultra-smooth layer so that the knee can bend without friction, pain, catching, clicking or pain. The picture above shows this clearly. The surface is smooth, and free of any signs of cartilage damage or cartilage degeneration. 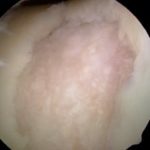 How is Knee Cartilage Injured? The cartilage in our knee is subject to the everyday stresses we put on our knee. If you are a contact athlete, involed in a serious fall or accident, you will suffer a traumatic injury to the cartilage which may cause it to separate from the bone. By far the most common cause of cartilage damage and deterioration is osteoarthritis. Many years ago we had very few options to deal with these defects or injuries. A microfracture is but one of the many options we have to try and minimize your pain. During a microfracture, we clear off the loose pieces of cartilage and debris from the area where the cartilage is missing. Once we prepare the area we make many small holes or punctures in the bone (1-2 millimeters). Those holes communicate with the bone marrow where stem cells are located. These cells have the ability to regenerate many of the tissues in our body. 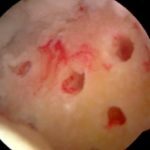 If placed in the knee, they can turn into cartilage cells and can fill in a hole in the cartilage. A microfracture is but one of the many techniques orthopedic surgeons can perform. There are other procedures available too. There are times when we will advise you that a different procedure should be considered. We need to consider the size of the hole, the location of the cartilage injury an if arthritis is present before making a final decision. If you scroll to the bottom you will see pictures of a before and after microfracture case. 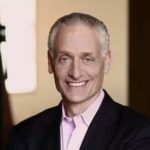 What is my recovery from microfracture surgery? The recovery from microfracture surgery is long. Why? 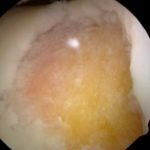 The stem cells that enter the knee through those holes and coat the hole or cartilage defect need time to “work their magic” . The stem cells need to settle into the hole. Then they need to multiply and divide. They need to form a layer over the cartilage defect. Then they need to start making cartilage. It’s like making Jello :-) . When you first combine everything you have liquid that you can drink in a straw. After a while and some time in the refrigerator the jello hardens into something we can eat. 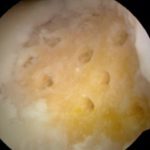 Over time (few months) those new cartilage cells will turn into cartilage cells and start to make cartilage to eliminate the hole … and improve your pain and quality of life! Here are pictures which show exactly what we do when we perform a microfracture. First…evaluate the defect or hole. Now we wait… those cells have to turn into cartilage cell… they need to smooth out within the hole and they need to create the actual cartilage. This process will take months. That’s simple biology. We are performing PRP or platelet rich plasma injections at the same time to try to enhance the recovery process. 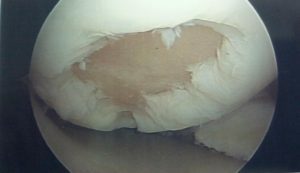 Bone marrow from your hip area which could further improve the response and the quality of the cartilage repair. Recent advances (2016) show that a MACI procedure might be more effective than a microfracture. Click here to read more about the MACI procedure. Here is a recent before and after case…. In the first picture you will see the cartilage defect of loss of cartilage… and in the second picture, you will see what this area now looks like only 5 months later!